April 13, 2018 ~ In May of 2016, I predicted that textiles and decorative items themed with succulents would soon be commonplace. Back then there were a few T-shirts, socks, pillows and posters, but not much from major retailers except fake succulents. (Gotta love the irony: Succulents already are the closest thing to plastic in the plant world.) Now they’re everywhere: Pier One, TJ Maxx, Cost Plus World Market, Wayfair, Home Goods, JOANN and more. Above: I’m holding a succulent shower curtain ($30) at Cost Plus World Market. In the foreground is a $200 faux opuntia (prickly pear). In fabrics, dishes and other decorative items, rosette succulents such as echeverias have claimed a place forever in the palette of “florals” available to designers. Early on, many retailers, hotels and restaurants went with mediocre, mass-produced prints of succulents. Those will be replaced with quality images that do the plants justice, along the lines of paintings by Dyana Hesson or Aaron Apsley (do follow them on Instagram). 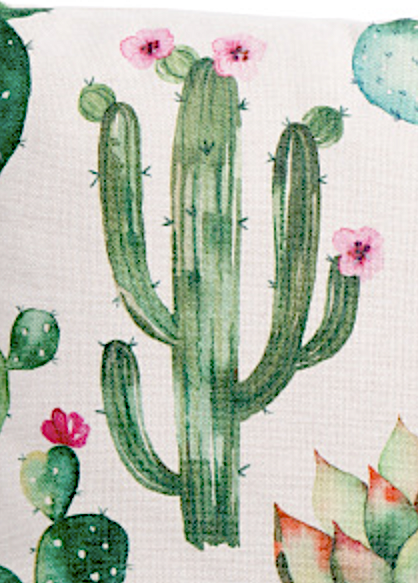 Cactus as a design element is trending, popping up on pajamas, place mats, wallpaper and more. As awareness of the plants grows, cliche images of “cactus” as saguaros and prickly-pear will give way to numerous other varieties. Pink flowers on a saguaro? In nature they’re creamy white. Let’s hope depictions of cacti and succulents become more accurate. Stylized cacti, unlike their living counterparts, are always in bloom. But as designers and consumers recognize that the true beauty of cacti is in their spines and symmetry, the perceived need for flashy flowers will diminish. 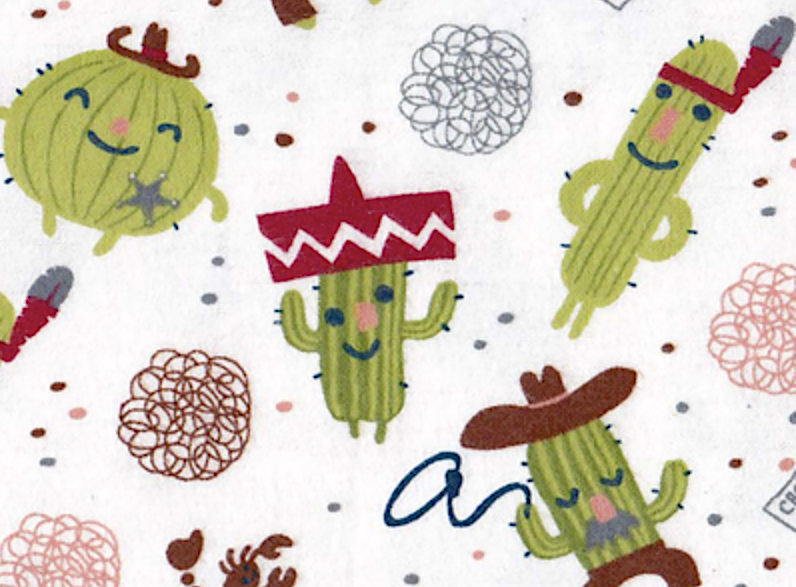 “Cactus Pete” flannel fabric at JOANN, $3.49/yard. Expect to hear the word “cute” in the same breath as “cactus” as graphic designers give the plants personality. Rotund, “chubby” varieties will be stylized for greeting cards, gift bags, night lights, plush toys, bed linens and more. Check-out lines, already long at seasonal Cactus & Succulent Society of America shows, will get even longer. Vendors will offer impulse-buy gifts and collectibles for newcomers—items of little interest to long-time members who are mainly plant collectors. Shops specializing in all things cacti-and-succulent will spring up online, in flea markets and mall kiosks. If these sell live plants, they’ll be secondary to themed merchandise. Potters, ceramicists, mosaic artists and metal sculptors will produce works designed to contain and showcase specific succulents, such as those that form Fibonacci spirals. Kids will clamor for cactus collections, leading to garden tools for small hands, rubber-tipped tongs and tweezers, and bright-colored pot sleeves. 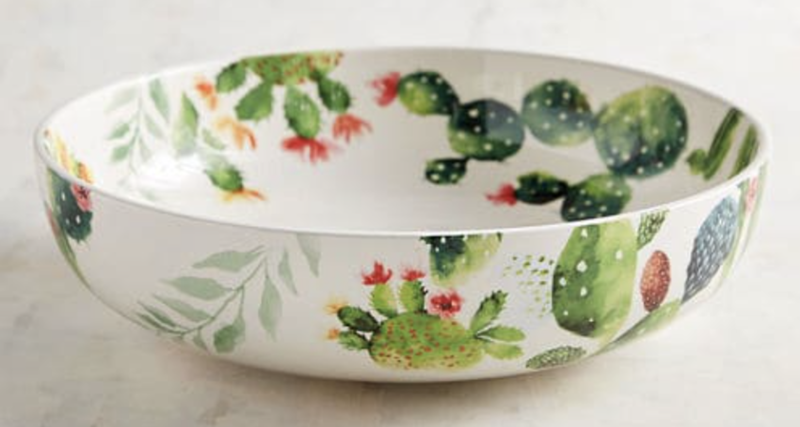 Retro, cactus-themed trinkets from Mexico and the desert Southwest will be highly sought-after, leading to an outpouring of new items inspired by old. 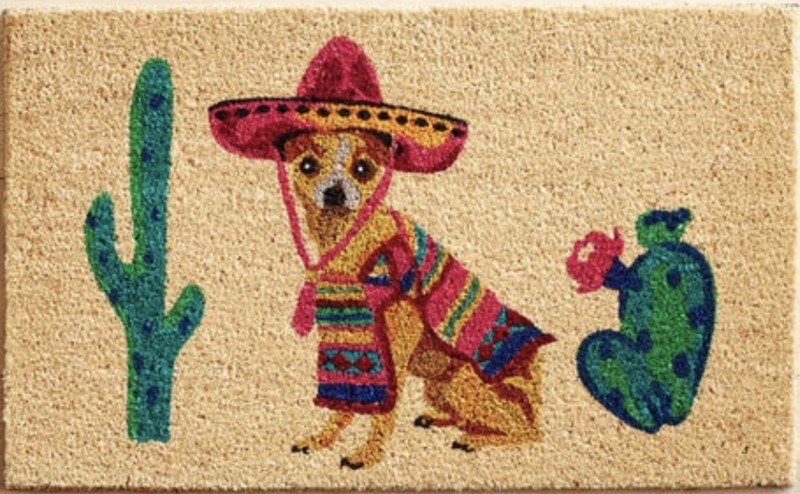 Above: “Fiesta Chihuahua Doormat” from Pier One, $17.